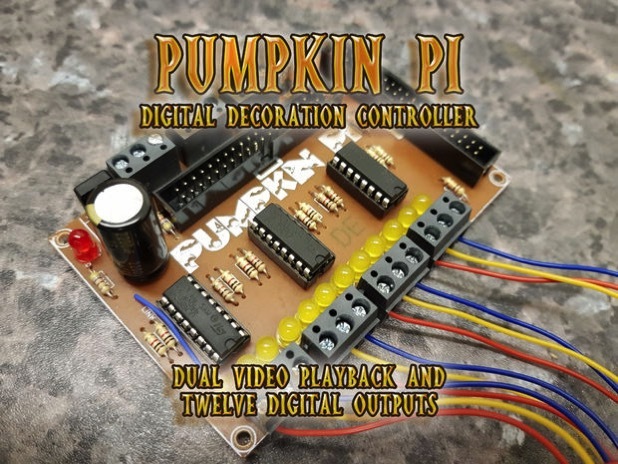 Pumpkin Pi Digital Decoration Controller #piday #raspberrypi @Raspberry_Pi « Adafruit Industries – Makers, hackers, artists, designers and engineers! It is basically a breakout board for the Pi that connects twelve of the Pi’s GPIO pins to NPN darlington pair transistors (in the form of three transistor arrays). 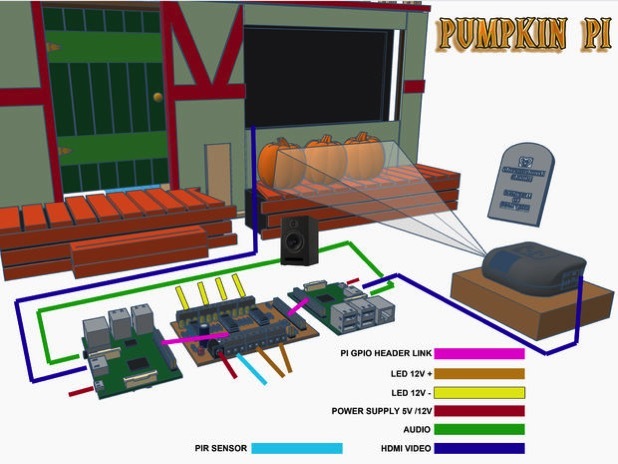 When the relevant Pi output goes high, it switches the transistor to complete the circuit. There are also two more GPIO pins that ‘link’ the two Pis together via pull-down resistors that act as triggers (more on this in the ‘Programming the Pi’ step later).